← Get a $5 E-Voucher for FREE! 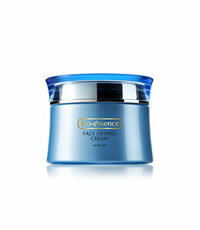 Into its third generation, Bio-essence has made a technological breakthrough and refined the formula further to create the Bio-essence V Face Series with the usage of the chemical compound ATP, Adenosine Triphosphate. Adenosine Tri-phosphate (ATP) is a molecule that stores the energy that the body needs for a wide variety of functions; it provides energy to the skin cells for healthy skin. ATP improves micro-circulation, effectively renewing and repairing skin. The V Face series hence restores suppleness, radiance, firmness and a youthful V shape to your skin. This entry was posted in 1 and tagged BIO ESSENCE FACE LIFTING CREAM, Fr3b Singapore’s 1st Sampling Concept Store, Fr3b.com, free beauty samples, Free giveaways, free samples, freebies, S’pores 1st Sampling Concept Store, singapore free beauty samples, singapore’s 1st online sampling platform More stats. Bookmark the permalink.